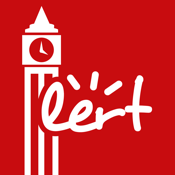 I lert U UK (United Kingdom) is the 1st Singapore Mobile SOS for United Kingdom people. "Continued use of GPS running in the background can dramatically decrease battery life." and you have to choose OK or Cancel.